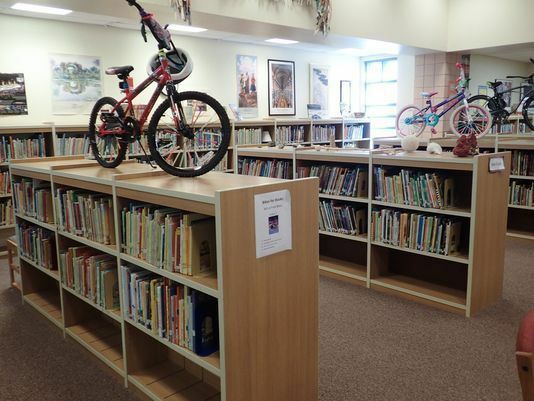 Help Esprit Decor Save Machan Elementary's Library - Together, We Make Memories! Machan Elementary needs our help! Due to State budget cuts the library of William T. Machan Elementary School in Phoenix will close next year unless $15,000 can be raised to keep the doors open. Federal cuts have also hit local schools hard and now the K-8 school can no longer afford an aide much less a librarian. Most students in this district don't have access to books or the internet at home and can only utilize these valuable tools at school. As supporters of creativity and learning we want to do whatever we can to help lift up Machan in their time of need. Esprit Decor Gallery at 7th Street and Missouri will donate goods and services towards custom framing up to $1000 to save the library. Bring your artwork in for framing and write the check to Machan Elementary School Library and your framing is free! As of today (Day One) we've already taken in a direct donation of $250 which we will match. Drop by the gallery today or call (602) 248-0700 or check out our Facebook page here for further details. Direct donations can be sent to: Save Machan's Library, 24 W. Camelback Rd. #A533, Phoenix, AZ 85013.